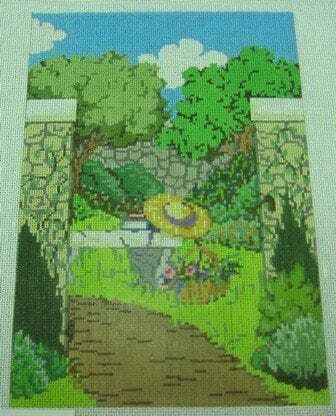 This piece, entitled Garden Gate, was designed by Julia and is an enchanting entrance into a summer garden. The image measures 7″ x 10″ on 18 threadcount canvas. Includes an ornate metal gate to be attached after stitching is complete for a beautiful 3-dimensional piece of art. Let us know if you need us to pull fibers for you.